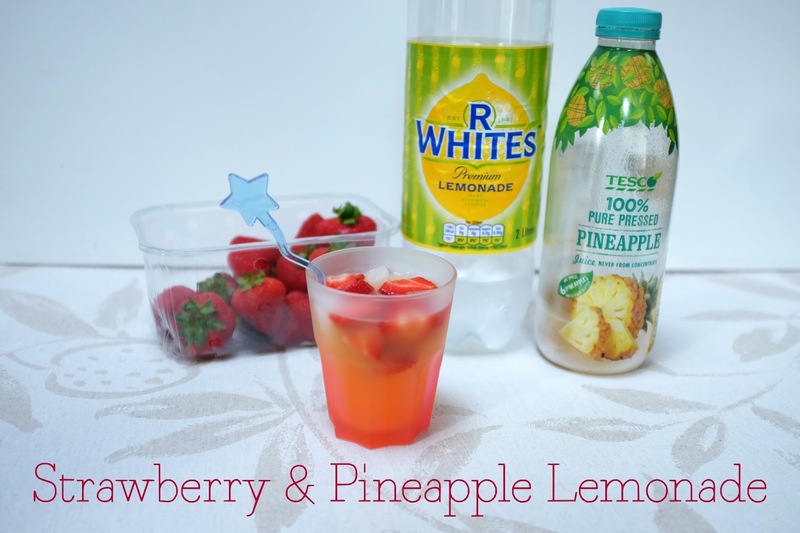 After yesterday's heatwave, I thought I'd write about something different on my blog today: my strawberry and pineapple lemonade recipe. 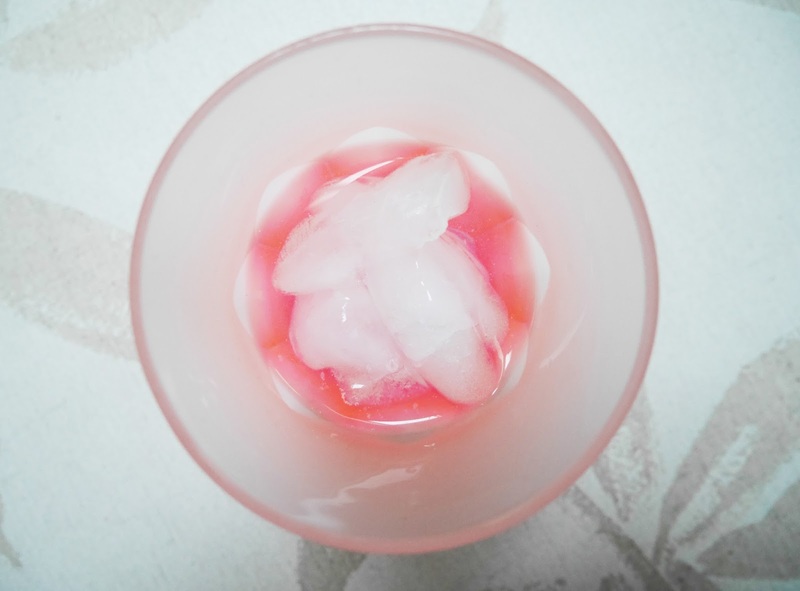 I don't really drink alcohol, so in Summer I'm always looking for refreshing and fruity soft drinks to try. When I went to Walt Disney World in 2014, I had fresh strawberry-infused lemonade at Rainforest Café and that was delicious. Today's drink is very similar to the one I had in Florida, but the pineapple juice I've added gives it a tropical twist. Step 1: Slice the strawberries. 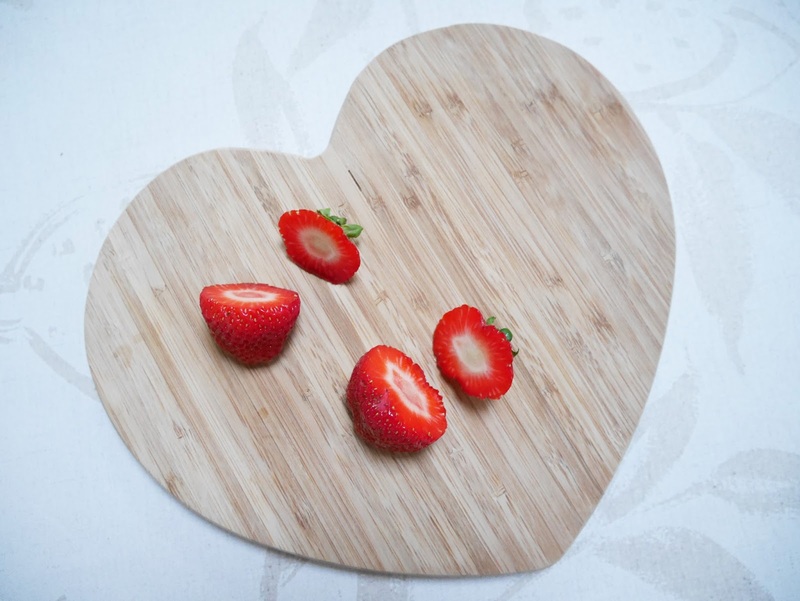 Cut the strawberries into as small pieces as you like. I normally cut them into quarters. Step 2: Fill 1/2 of the glass with ice and lemonade. 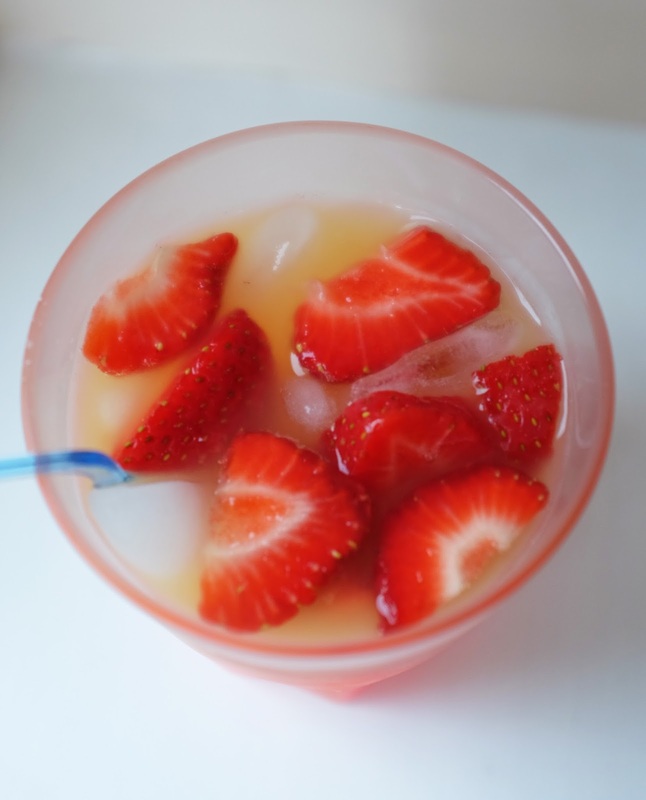 Leave the strawberries to the side for a second, it's time to start putting together the liquids. It's Summer so the drink needs plenty of ice. Pour the lemonade on top of the ice until the glass is half full. Step 3: Fill 1/4 of the glass with pineapple juice. 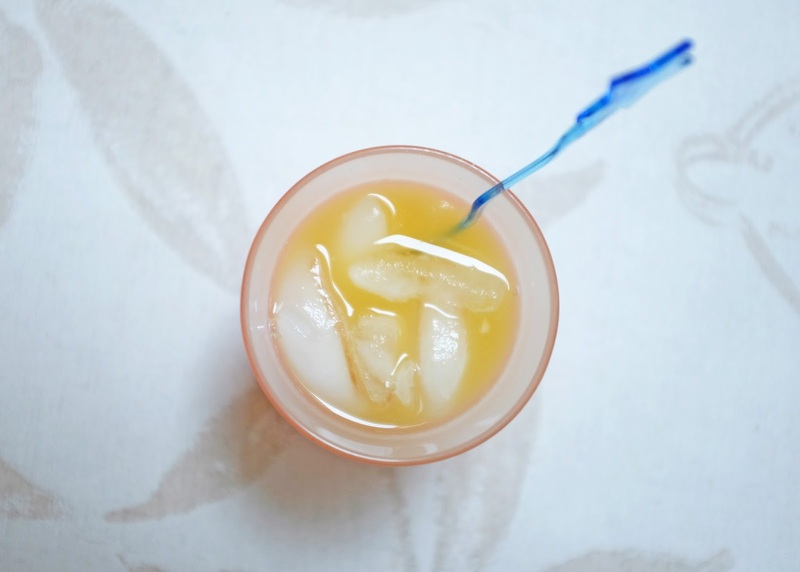 Shake the bottle of pineapple juice and then add it to the glass. Step 4: Add the strawberries and stir. Last step is to add the pieces of strawberry. To stir the drink, use a cocktail stirrer if you have one, but if not a spoon works just as well! So there you have it, strawberry & pineapple lemonade. It takes no time at all and is a lovely Summer treat.